A few weeks ago I stumbled on a hashtag called #instagramatemyblog. I laughed out loud and swiftly realized sometimes it's true. It can be far easier to share my heart with a couple of taps and a snapshot on my way to class than it is to perch at my desk and punch out a blog post. So today I'm announcing my effort to take it back. And with it is a round up of what I've been sharing on Insta that seems to have had the most response and questions. 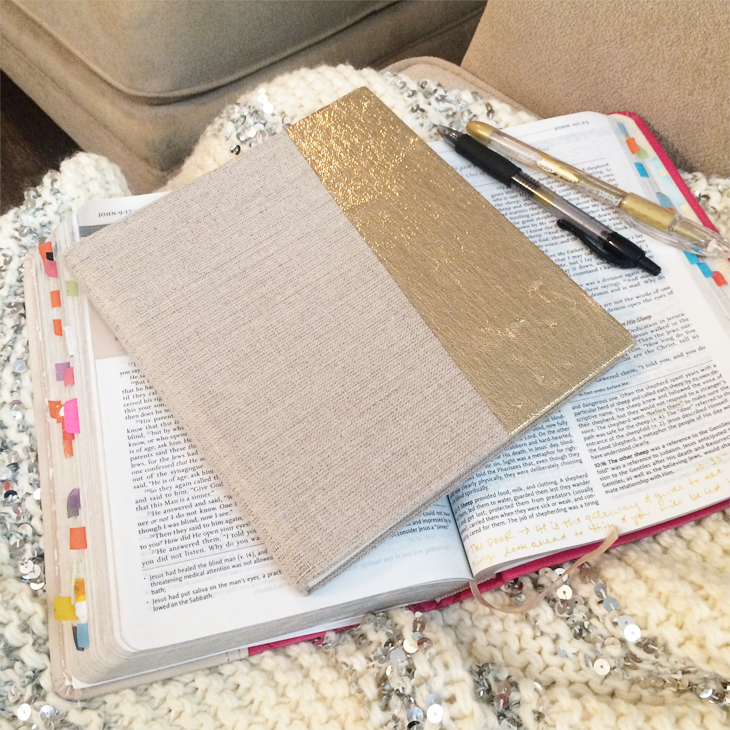 I'm a creature of habit and my devotional time is no different. In truth, I've been trying to relax my grip on the way I spend time with God during the week, being willing to spend time in scripture alone and allowing myself to rest and listen. Even so, there are certain go-to's that I love and like to have nearby. 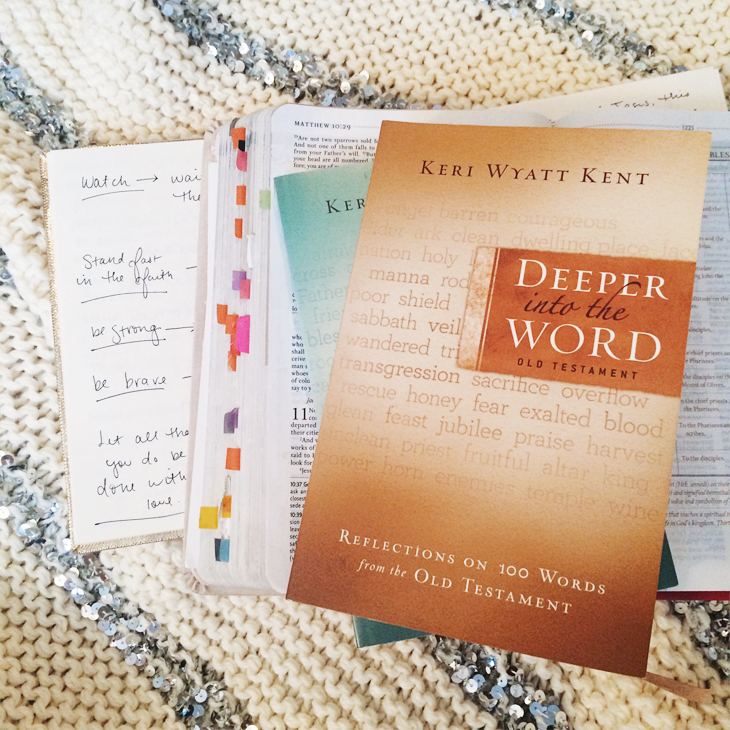 Below are some of my favorite and most-used resources for diving into the Word. 1. A journal with blank pages. 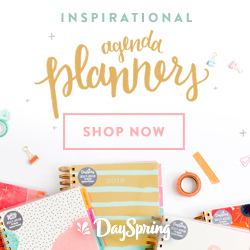 I have been through eighteen journals in the past five years, so I know my way around a stationery store and what kind works for me. Blank pages are a beautiful thing. Without a guide I don't always write in straight lines, and a book with a grid works, too, but I prefer ones with crisp white full sheets so I can doodle and draw and write in all of the margins and corners in whatever direction I want to. My favorite journals come from Anthropologie, and I picked up a few of the same kind to get me through the year. I've run into the problem one too many times where I fall in love with a journal and they are sold out before I can get another. Rifle Paper Co. has another assortment that I've used and always recommend. 2. Deeper Into the Word. These two books were a $5 find at Mardel several years ago, and they've added a great deal of insight into my reading. It's refreshing to take key words or topics from my scripture and find explanations of the original words used and cross references. There is an Old Testament and New Testament book with 100 words a piece. I've found the Kindle versions on Amazon here and here, but no hard copies online. Everyone dives into scripture in a different way. 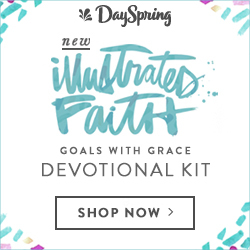 I hit the highlights all to often, relying on verses that spoke to me years ago, and the adoration prompts brought new light to familiar passages, and even revealed new ones I'd been glossing over. 4. Writing Through the Margins. Making notes in my Bible is not a new habit, but I had seen this book floating around Instagram for a while and it sparked my interest. Lisa Hickman writes about making note of God's presence and whisper in the margins of our life, seeing the in-between spaces as intentional places of connection and conversation. What a perspective shift! 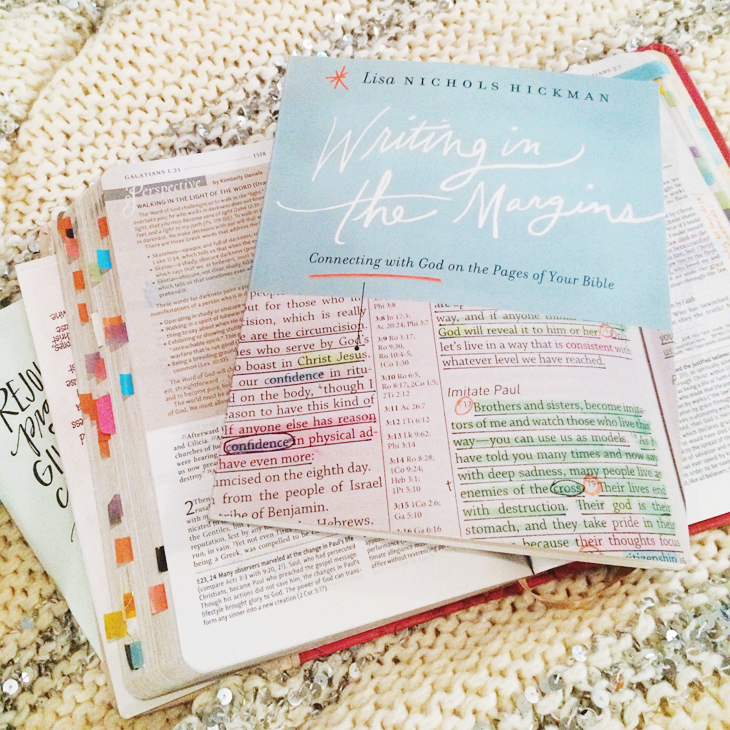 While I have my color-coded highlighters and sticky tabs, I want to dive into scripture with fresh eyes every time. Sometimes the notes I've made in days gone by remind me of a truth I need to know or a time where God has answered prayer. 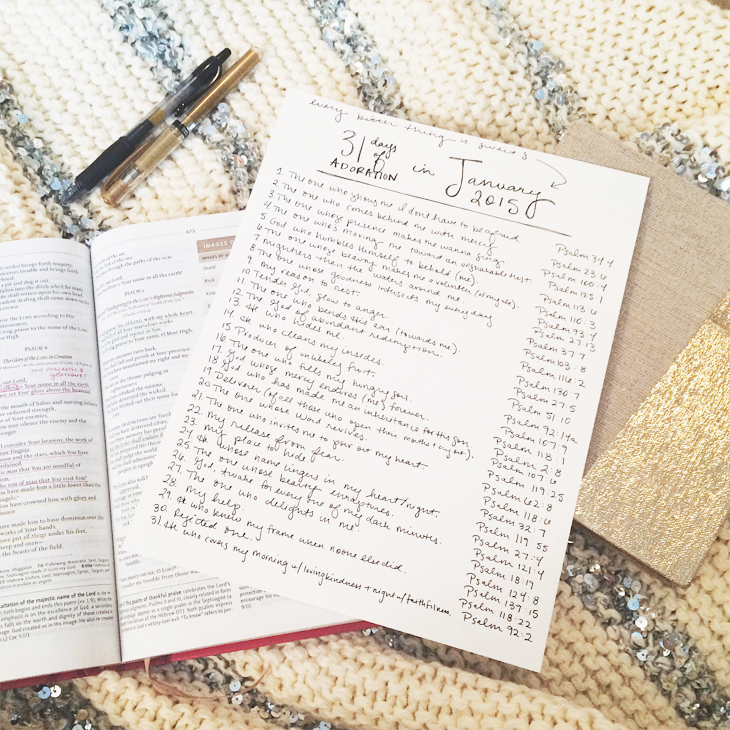 Whatever your system is, if you're looking for a refresher or you want to start journaling in your Bible, I'd say start here. 5. Semikolon Sticky Tabs. I have a thing for school supplies. And when I say thing I actually mean an obsession, hoarding problem, and I'm drawn to them like a magnet. I picked these tabs up several years ago and made a little code in the front of my Bible. Each color has a different topic making for easy navigating. Verses about finding your identity in Christ, going through hard times, the definition of grace, etc. 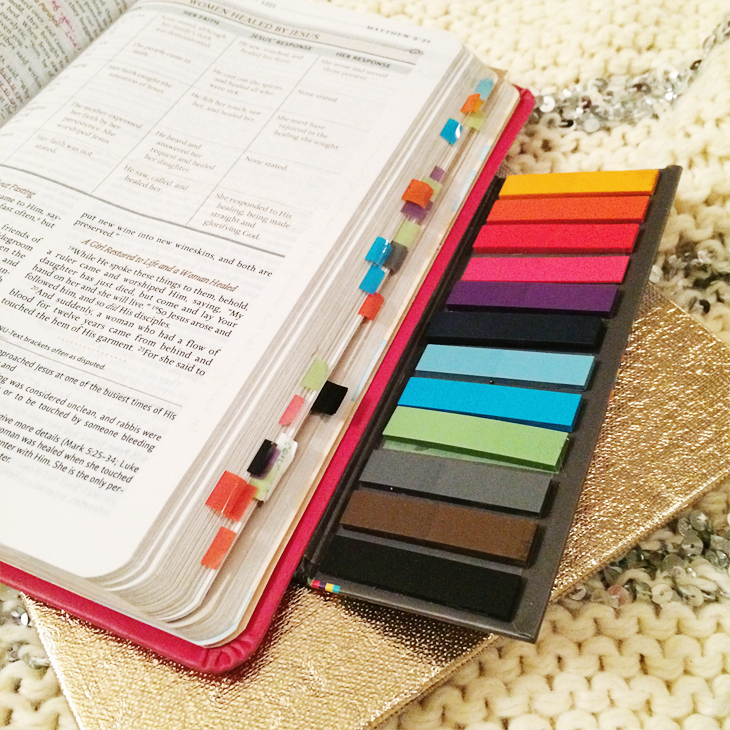 Semikolon makes several tiny folders of tabs and sticky notes easy to toss into a purse or keep tucked into the Bible itself. What are some of your favorite resources? I'd love to know! Don't forget: In February we are studying the book of Ephesians through Heart of the Word! Read more about it HERE and check out the hashtags on Instagram #heartoftheWord and #heartofEphesians to see who is joining in! Tomorrow (Thursday, February 12) we will be linking up with Rachel of Rachel Rewritten to see what everyone's been learning so far. I can't wait!